We put this on our calendars as a "data gathering session" and wandered down to Starbucks for some off-site networking. I was showing off how I could snap a picture and upload it immediately since Starbucks had free wifi. 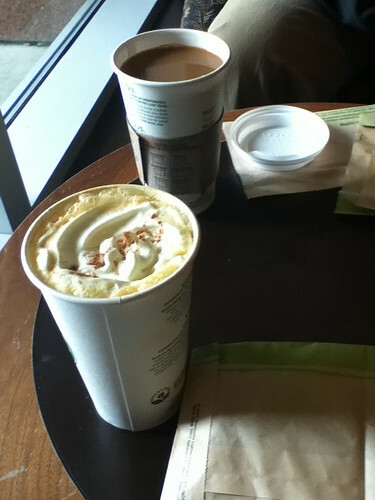 The pumpkin latte was pretty tasty too.